Barack Ferrazzano is proud to congratulate Financial Institutions Group partner and Regulatory Section Leader John M. Geiringer as the recently named Co-Director of the new Center for National Security and Human Rights Law at Chicago-Kent College of Law. 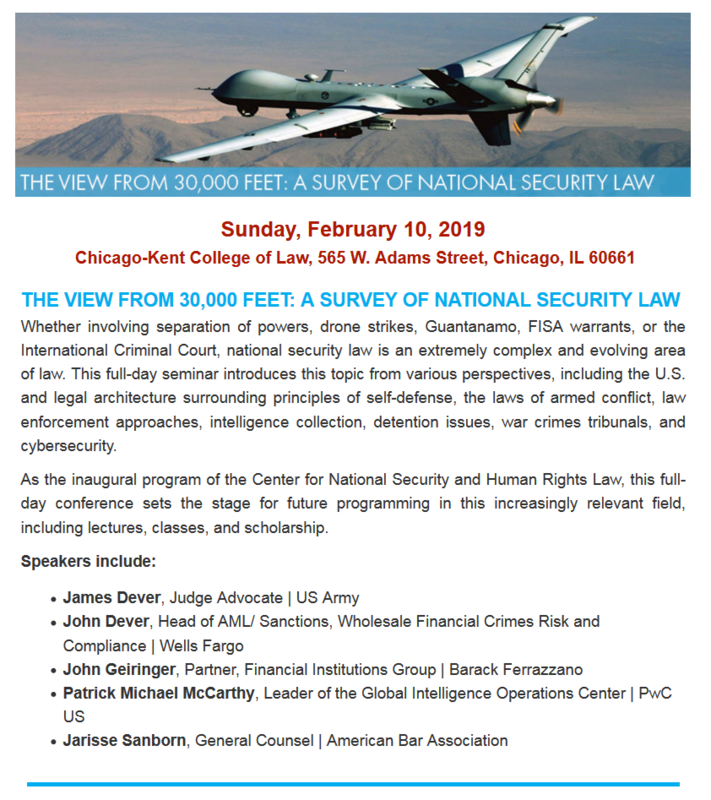 The Center is a forum in which scholars, practitioners, students and the general public can grapple with the complex and evolving issues surrounding national security law, including how society must balance the competing interests of security and freedom. John devotes significant time to issues involving anti-money laundering, counter-terrorist financing and cybersecurity. He is on the advisory board of the Anti-Money Laundering Association and is the president of its Midwest Chapter. John is a vice-chair of the American Bar Association’s Banking Law Committee and a past chairman of its Enforcement, Insider Liability and Troubled Banks Subcommittee and its Bank Secrecy Act/Anti-Money Laundering Subcommittee. He is a frequent speaker at leading financial services and banking industry conferences. John has been an adjunct professor at Chicago-Kent for ten years, teaching banking law and regulations, and will now be teaching national security law. John also is the editor and author of a chapter in the upcoming book, Countering the Financing of Terrorism: Law and Policy. Founded in 1888, Chicago-Kent College of Law at Illinois Institute of Technology is the second oldest law school in the state of Illinois. Located in Chicago's West Loop neighborhood, Chicago-Kent boasts various nationally recognized faculty and student body scholarly accomplishments. Chicago-Kent offers an exceptionally forward-looking curriculum and a range of practice opportunities and top-ranked programs, as well as an extensive network of experienced faculty.